I have a couple of friends who work for churches. They work full-time, pay into Social Security, and pay assorted taxes through their employers. 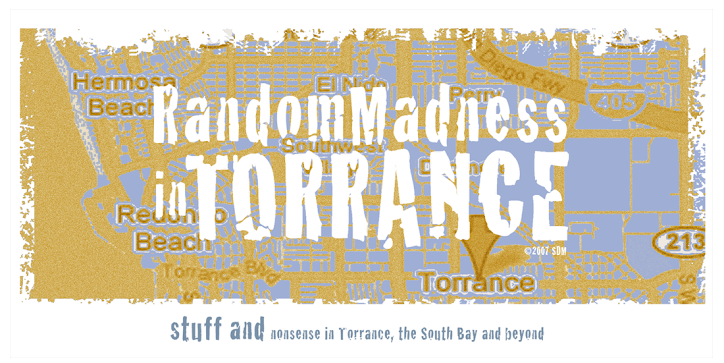 One friend is employed by a small local non-denominational church, one is employed by a rather large Lutheran church and school in Torrance. Both are unaware they can't collect unemployment insurance if they become unemployed. Why? Non-profit religious organizations are exempt from paying Federal Unemployment Tax. What does it mean to be exempt? It means churches and their affiliate schools cannot be compelled to pay unemployment tax. But does that mean they can't participate? No. It means they choose not to pay. Many churches do pay into the system. In an article from the National Catholic Reporter, many diocese voluntarily pay for unemployment compensation. According to a Richmond, Virginia diocese's chief financial officer, "It was a matter of justice." For a small church, paying unemployment taxes could force them not to hire employees at all. But what about larger institutions, and those operating schools? What about mega-churches, and churches undergoing massive expansions? What's their excuse? In God's name, he'd pay. According to the New Testament, the Pharisees declared Jesus "a friend of tax collectors and sinners." (Luke 7:34) He even chose a tax collector to be one of his disciples - Matthew/Levi. In Matthew 17:24-27, Jesus directs Peter to pay taxes for them both - of course, with a little help from above. The bible isn't just a tool to collect tithes from church members, or a book of laws for the great unwashed. The rules apply to churches - that is, if they believe themselves the harbingers of christian values. 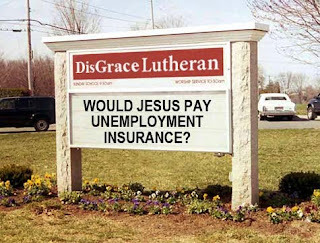 If I were a member of a church, or a parent of a student attending a christian school, I would be putting the heat on the minister/priest and church administrators to pay unemployment insurance tax, or pay for private unemployment insurance for their employees - not because they have to, but because it's the christian thing to do.